One of the keys to great video photography is great lighting! 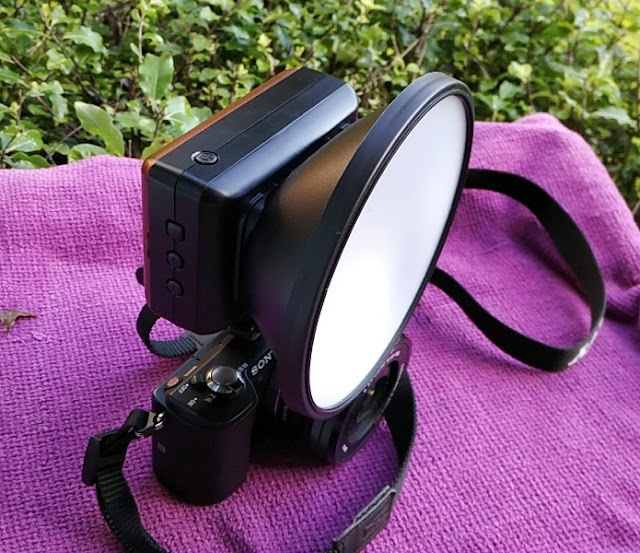 For those times when you don't have time to put together a lighting setup, you need an on-camera light like the Tiffen Lowel Go Lite that can also be used on a stand! 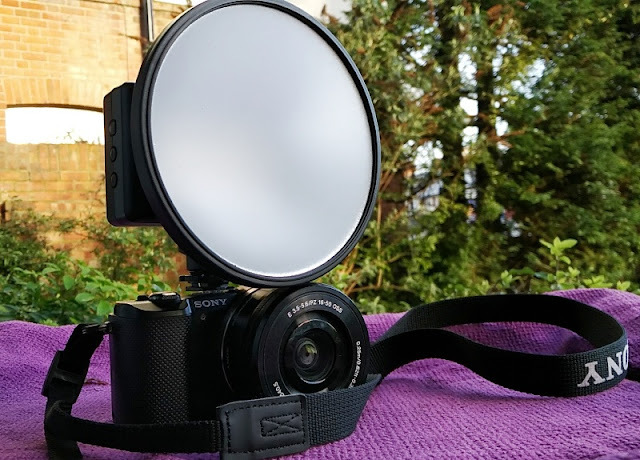 The Tiffen Lowel Go Lite is a useful piece of kit that is quick to setup and easily improves the low light capability of a camera when used in a dark environment or low light situation. 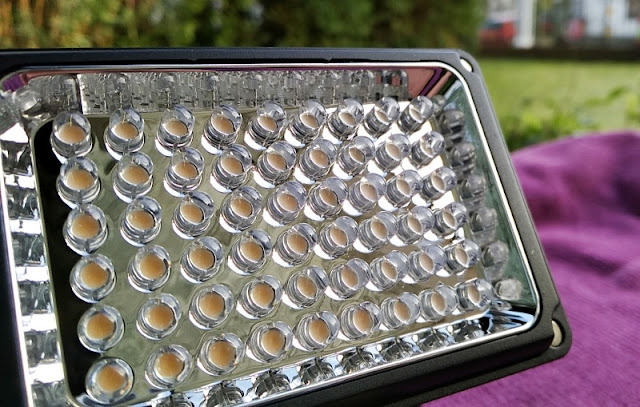 The broad array of LEDs on the Lowel Go Lite provides an even illumination pattern without the hot-spot effect that you would get from a halogen camera light. 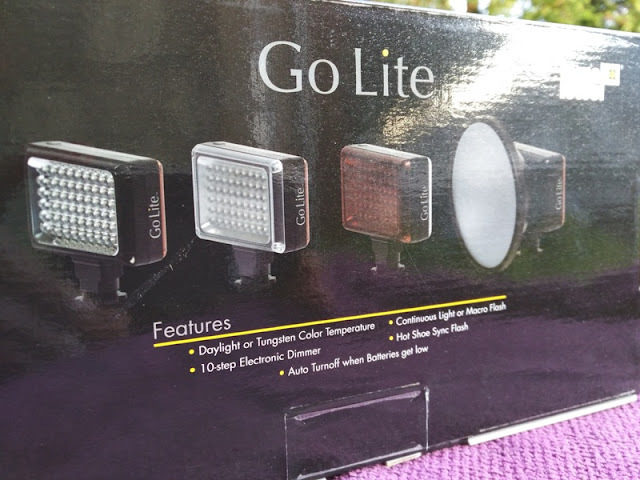 Lowel Go Lite uses four 1.5V AA batteries so depending on the types of batteries you use you can get around 20 watts of power, which is enough to power the 54 LED lamp beads. The constant light produced is flat with a stable beam of light (not flashes of light) that is bright enough (500 lumens) to illuminate a distance of 1-3 meters long. 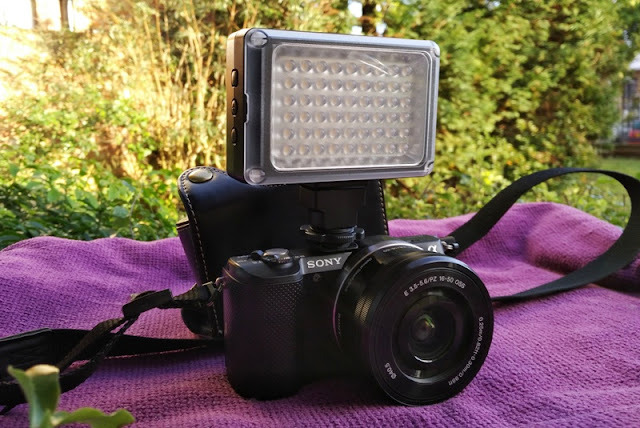 When connected to a hot shoe of a DSLR camera, the Lowel Go Lite syncs with the camera's flash. 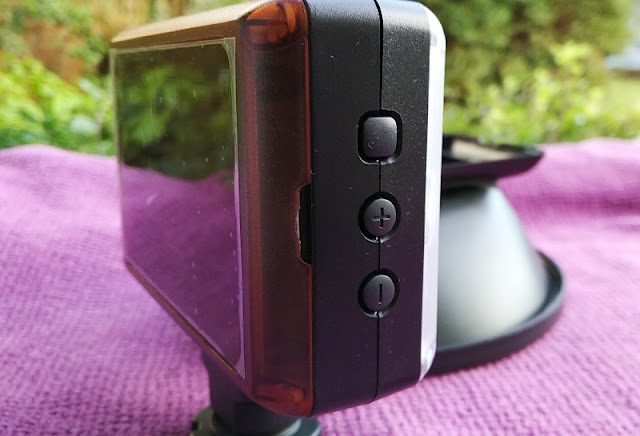 Inside the box, you get a 3200K tungsten diffuser, a 5500K daylight diffuser and a softbox that you can use to soften the light output into an even light to reduce harsh shadows and mimic window lighting when close to a subject. 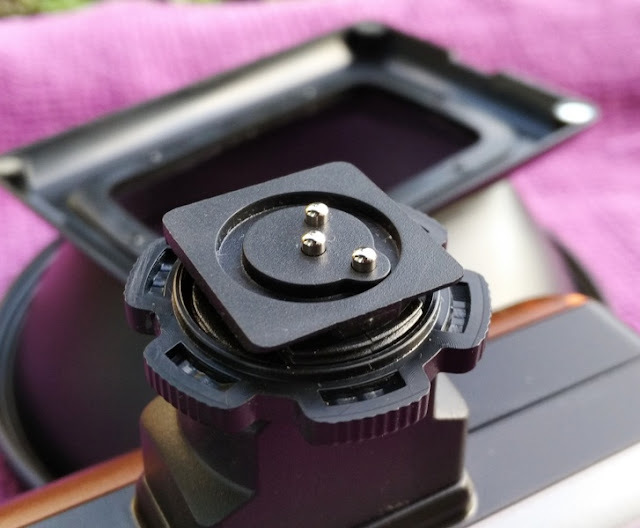 The top button above the + button is the flash button that lets you switch to flash mode when hooking the light to a DSLR camera (Canon or Nikon only). 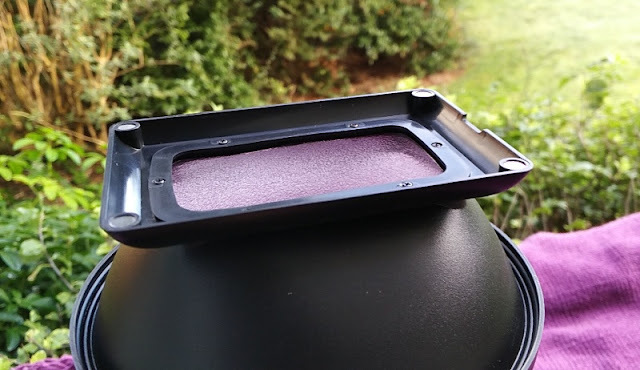 Both the tungsten diffuser and the daylight diffuser helps you adjust color temperature between 3200K and 5500K when working under incandescent lighting and fluorescent lighting. 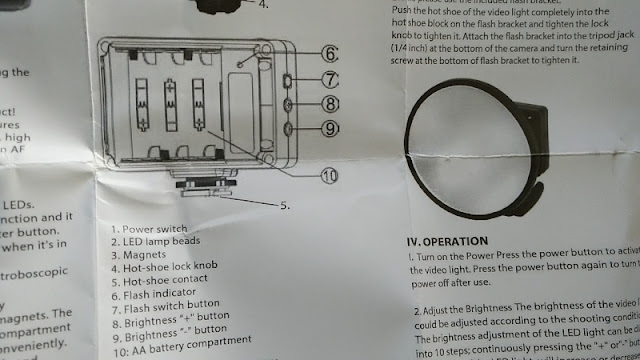 The battery compartment also doubles as the tungsten diffuser cover. By the way, the letter "K" behind 3200 and 5500 stands for degrees Kelvin which is a more precise way to express the terms "warm white", "warm yellow", "bright white", etc; which household bulbs are usually referred to. Color temperatures over 5000 K are referred to as "cool colors", while color temperatures between 2700K and 3000K are referred to as "warm colors". 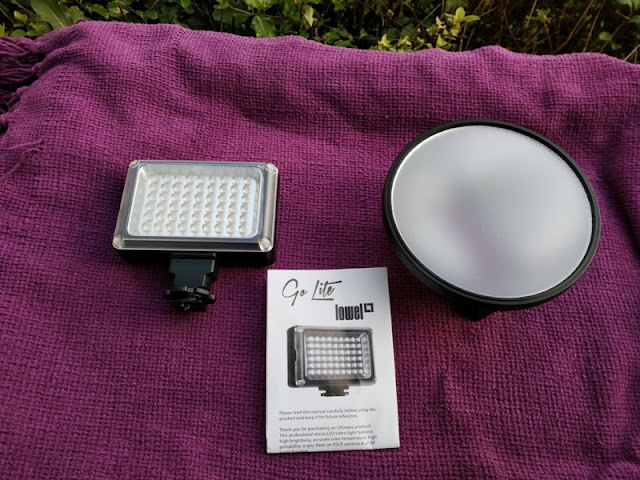 What's neat about the Lowel Go Lite lighting system is that it features a magnetic mounting system that allows all three filters to snap into place magnetically. 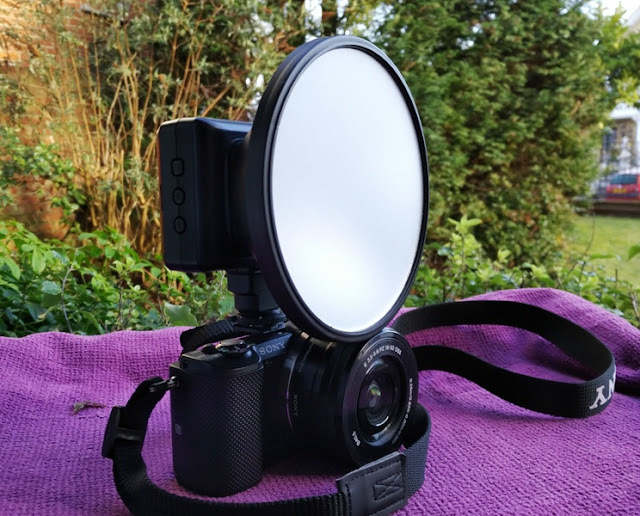 This makes changing filters very easy, convenient and versatile especially in situations when the light and location are constantly changing. 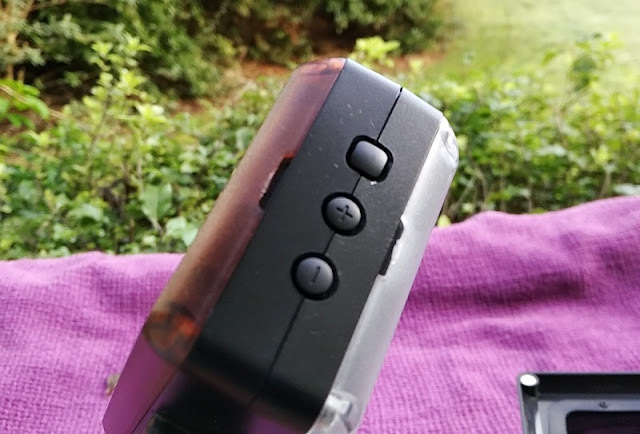 Having dimming buttons on-board the Lowel Go Lite is great as it allows you to dim the LEDs to bring out a little texture in the background without having to use a diffuser. 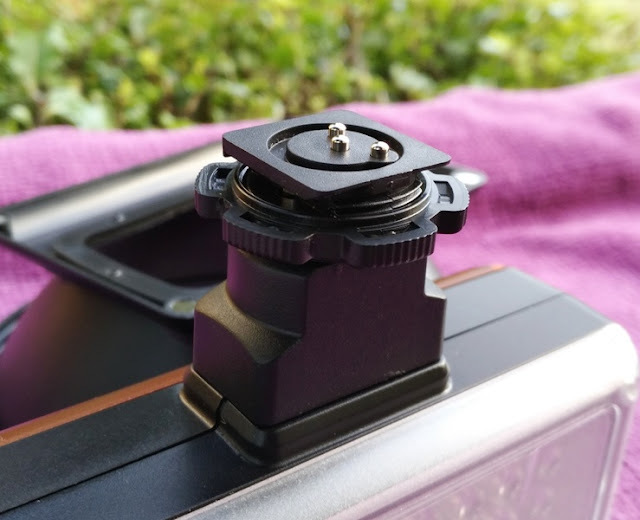 As mentioned earlier, the Lowel Go Lite can be used as an on-camera lighting system or off-camera lighting system thanks to a hot shoe mount that allows you to fit the Lowel Go Lite on top of a DSLR camera. 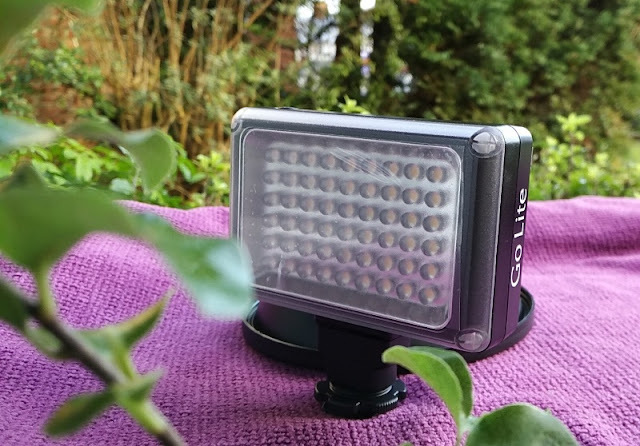 While mounted on a camera, the Lowel Go Lite doesn't look too bulky nor it adds very much weight to the camera setup as the the Lowel Go Lite only weighs 128 grams and measures 10cm high, 10cm long and 3.5 deep. 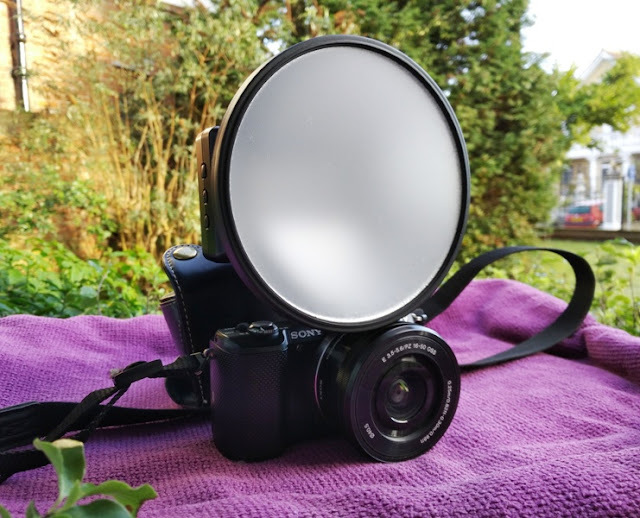 The softbox diffuser weighs 54 grams and has a 12.5cm diameter with a depth of 5cm. 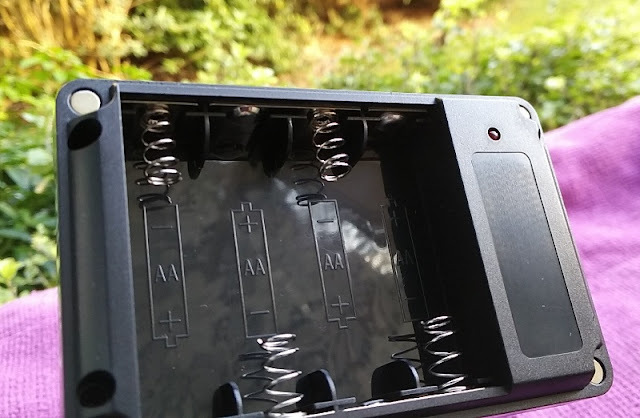 While the Lowel Go Lite doesn't have a built-in rechargeable battery it does use AA batteries (alkaline or Ni-MH) so if you were to fit four 1300mAh rechargeable batteries you can easily get a total of 5200mAh of battery storage capacity that can last several hours of continuous use. The Lowel Go Lite also has a color rendering index (CRI) of 90+ points and a beam angle of 55 degrees. 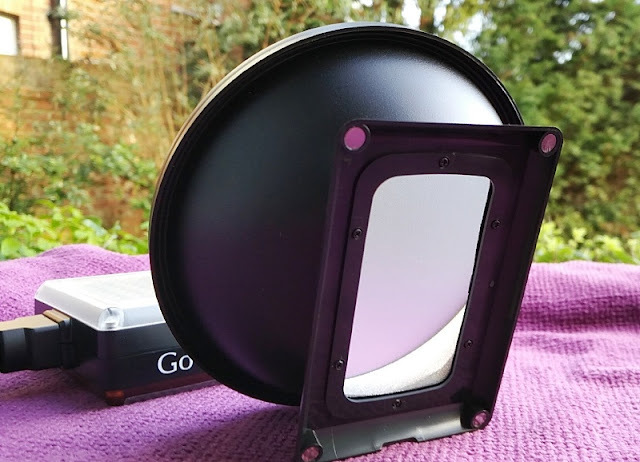 With a color rendering of 90+, the Lowel Go Lite is able to accurately reproduce natural lighting very closely, while the 55 degree limmunination angle makes the beam angle on the Lowel Go Lite LEDs have a wide flood coverage. 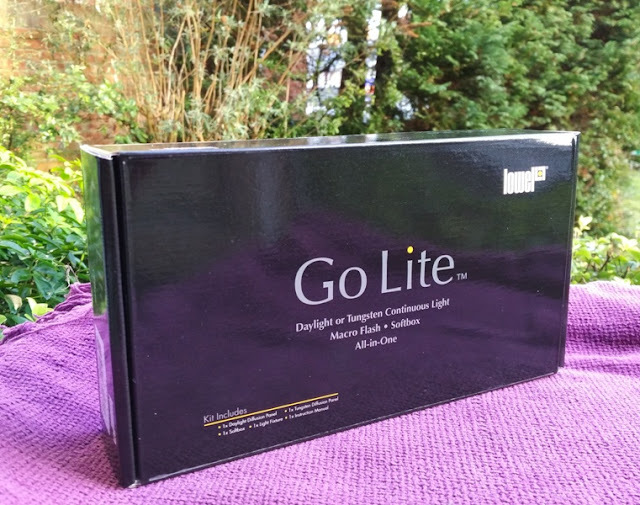 Another neat feature integrated in the Lowel Go Lite LED lighting system is a 10-step electronic dimmer which gives you 10 dimming levels to step dim the Lowel Go Lite in 10% increments from 10% to 100%.